Chloe has never asked for a dirt bike of her own so getting one for her birthday was a big surprise. While at work last week, I got a video clip of Chloe masterfully doing circles and figure 8’s around the backyard. Watching my monkey out there motoring through the yard absolutely lit my heart up. In no time at all, she went from tentative wobbling to graceful motion. I can honestly say that I never really knew the limitless depth of happiness until I became a parent. The ability to be truly happy for someone else went to a whole other level. Watching your child triumph is a gift. On Sunday, Chloe got to try her new wheels outside of the confines of our yard. 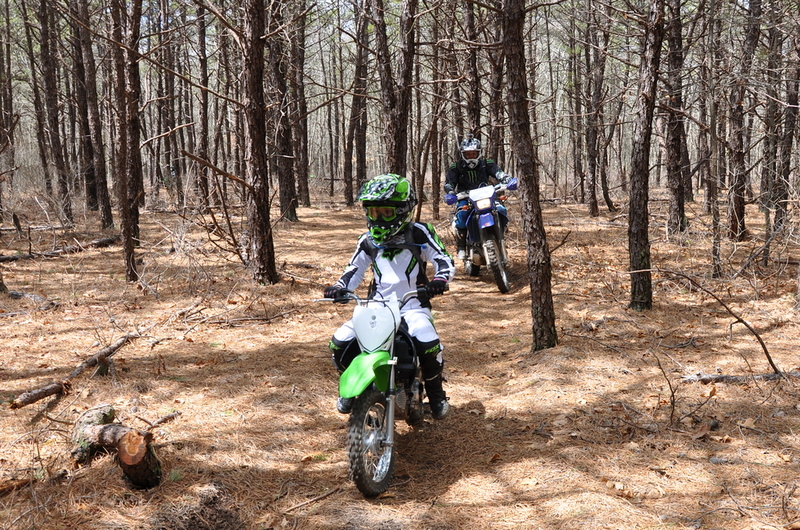 Our family went to a trail riding event hosted by the Long Island Recreational Trails Conservancy. She began her day riding around a course that ran through a plowed cornfield. It is designed to let beginners exercise their new skills while parents can clearly see them move through the course. The ground is soft, there isn’t anything hard to run in to. It’s a great low pressure environment to learn in. Just watching her riding along, it seemed to me that a kid possesses some innate knowledge of how to do things. I guess “life” hasn’t clogged up their thinking with a bunch of what if’s and noise. They just seem to operate on instinct. 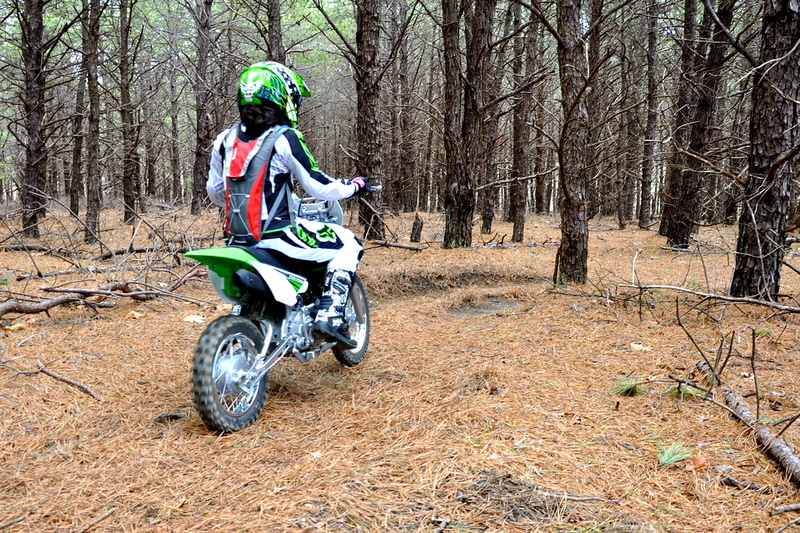 Once she got comfortable moving through the course, we took her into the woods. She seemed completely relaxed navigating her way along the trail and snaking through the trees. When I consider this was her first day of riding a motorcycle on something other than the wide open grass of our backyard, I was completely impressed. She did great! There was no complaining, no I can’t or I don’t know how – Chloe jumped in with both feet and went for it. Sure, she fell along the way but she became adept at picking herself back up and getting herself back on the trail. I could stand to take a few pointers from her. After being out on the bikes all day, Chloe asked if she could ride some more in the backyard. I love her spirit, resilience and her ability to accept the idea that anything is possible. That last bit is something so many grown-ups seem to un-learn. I’m one seriously proud Momma. Before you know it it’ll be time to get R out there, too. Awesome post today Fuzzy…you have every right to be the proudest mum on the planet! Well done Chloe and may your life be filled with incredible moments like this. This is just the beginning to a chapter of a life. It’ll be so much fun to watch the book being written. 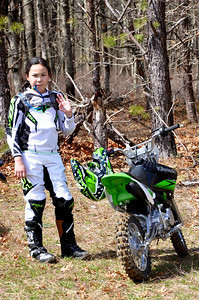 You’re teaching her valuable lessons that will far transcend riding. It’s so heartening to see good parenting. I’m such a dummy! you should be able to see the vid now. I really, really, really, really, really, really ::takes a breath:: really, really, really, really am! That is awesome Fuzz not being a parent I can’t relate too much but I do take pride in seeing other people learn and progress. From a parents perspective that must be a whole other level of happiness to see your kid doing so well, especially on her first real day!! I’m glad to see she picks the bike right back up too!! It looks like there are a lot of fun miles ahead for you as a family. If she likes it this much now just imagine as she grows up the rides you can all do together as a family. I know I have treasured every ride I have done with my father and brother, doing something like that with your own family is really great. Sounds like you relate from the other side. I can only hope that someday, like you, she can look back at these moments in her childhood and say – “that was awesome.” What more could a parent ask for? Were trying to instill self-reliance in her with the bike as well. 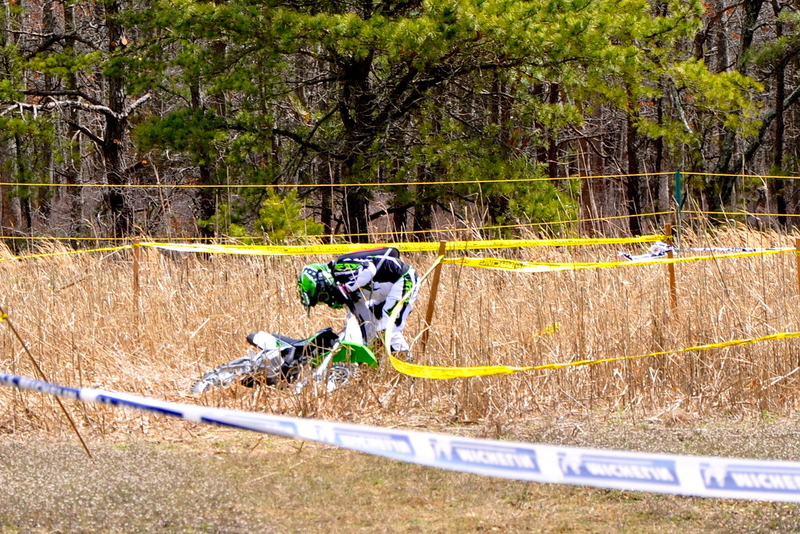 She must do her best to right herself when she wipes out. Everyone needs help from time to time, but she’s gotta try on her own first. She’s also going to learn to do any maintenance on it. She likes being out in the garage with Kenny when he’s mucking around out there anyway. That wasn’t a tough sell. Hooray! It looks like you had a fabulous time. 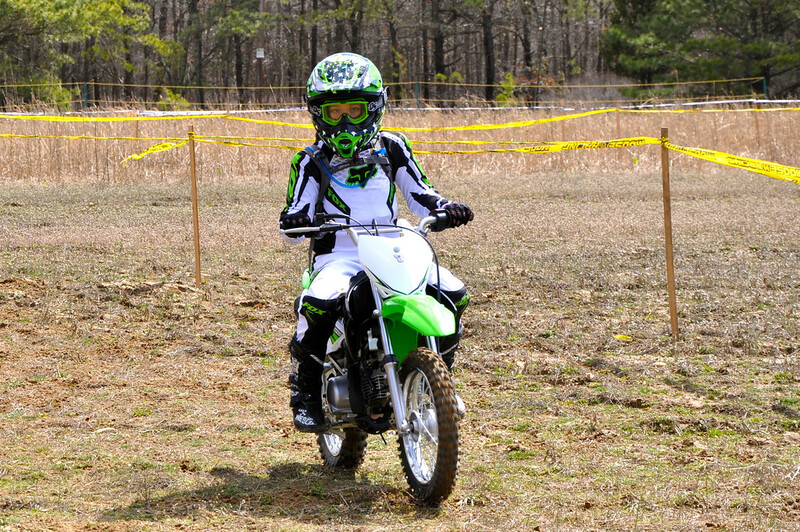 I am happy that she is taken with riding just like her mom. Looking forward to seeing how she progresses. Looks like she is well on her way. Wishing Chloe miles and miles of smiles on 2 wheels! Congratulations to you on having such a wonderful daughter, she will soon be riding better than you, you know how kids are, they learn fast and have no fear. They have this for all kinds of kids at all different levels it really is a blast. April 17: Sunday Ride – Where Are You Going?